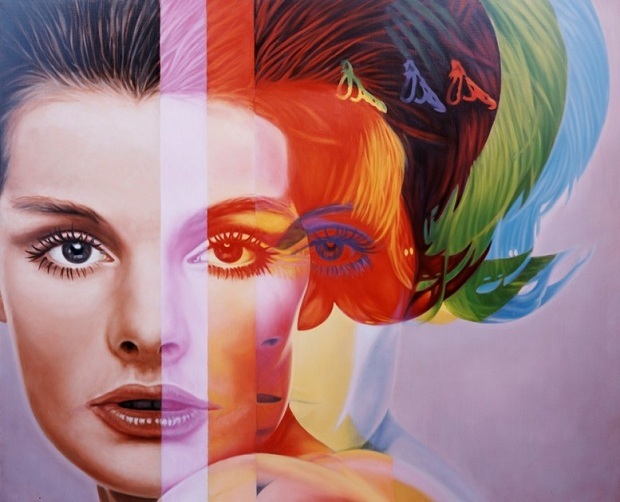 If you are a fan of the show, “Gossip Girl” and you have a keen eye, you have definitely seen this piece by photo-realist painter Richard Phillips. His piece, “Spectrum” has been hanging in the home of Blake Lively’s Serena van der Woodsen’s home for several seasons. Phillips is known for realistic paintings that are reminiscent of the glossy advertisements from the 1950s, 60s, and 70s. It is amazing how he is able to capture so much detail with the medium that is oil on canvas. “Spectrum” seems to be a different take on pop art, which made famous by Andy Warhol, due to his use of bright, vibrant colors used in unrealistic ways. Some of his past work can be found here. Phillips truly is a talent artist. I was just watching the episode this was featured in… it’s a good painting.